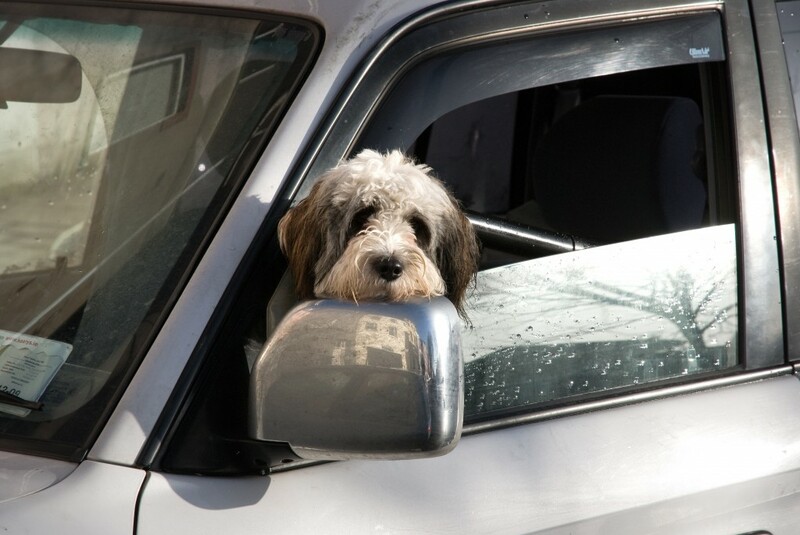 Dogs in hot cars can quickly overheat. Did you know that on a pleasant 70 degree day, the temperature inside your car can reach almost 100 degrees within 30 minutes? Imagine having to sit in that with only an inch or two of the window opened. Now imagine that it’s 90 degrees outside and the temperature inside your car is skyrocketing towards 160 degrees… oh yeah, and you’re wearing a fur coat. Dogs in hot cars have experienced this scenario way too many times. If you see a dog locked in hot car, get help right away. Talk to the manager, if the car is outside a store, but if the owner doesn’t show up quickly, call the police. Play it safe and leave your own furry friends at home as the temperatures start to rise.